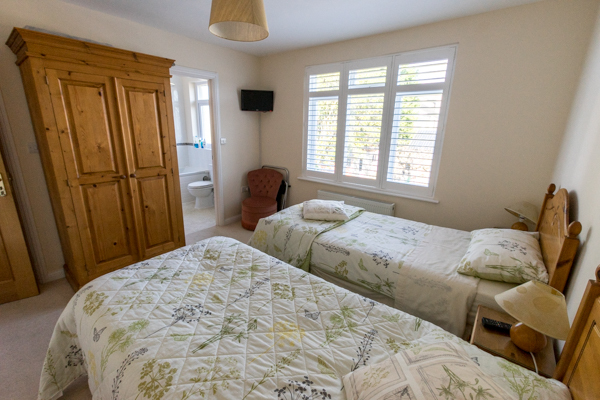 Our Twin-Bedded room has 2 x 3ft beds with pine furnishings. 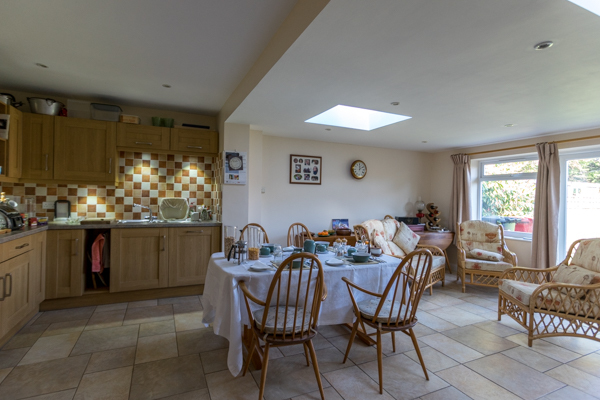 The rooms are centrally heated with thermostatic valves. Hospitality trays with fairtrade refreshments, a flat screen T.V. offering freeview channels, and a luggage rack are supplied. 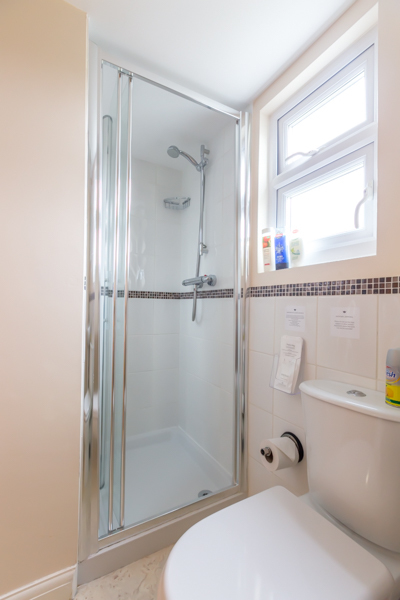 The en-suite facility has a bath with power shower over and a shaver point. Complimentary toiletries are supplied as is a hairdryer. 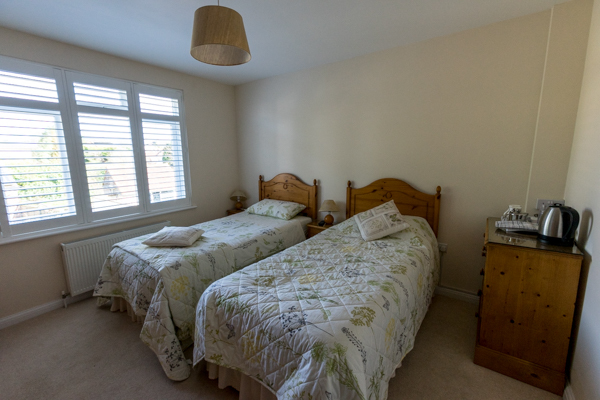 Our Double room has a 4ft 6in bed with pine furnishings. 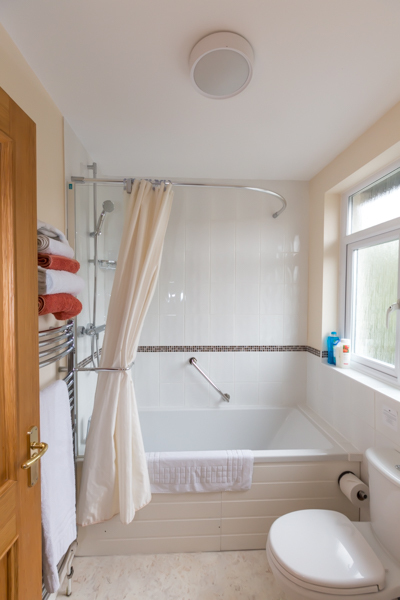 The room is centrally heated with thermostatic valves. As before, hospitality trays with fairtrade refreshments, a flat screen T.V. offering freeview channels and a luggage rack are supplied. 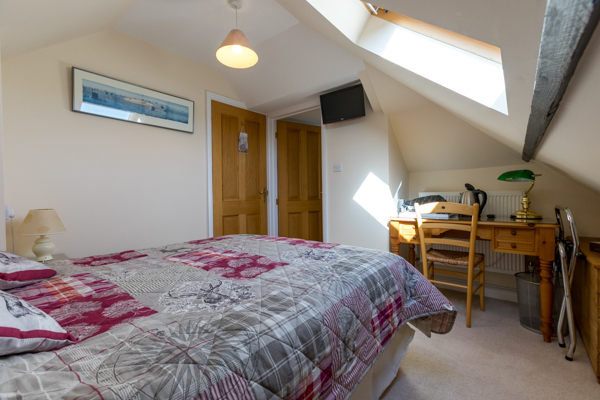 The en-suite facility is a dorma room - people over 6ft may struggle! It come equipped with a power shower, shaver point, complimentary toiletries and a hairdryer. 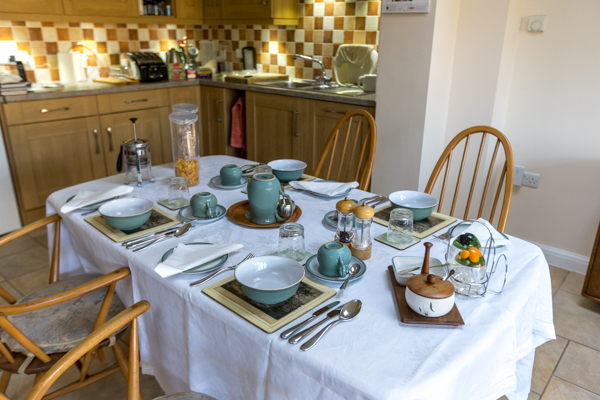 We have a large, spacious, light and airy room for you to enjoy your full English Breakfast. 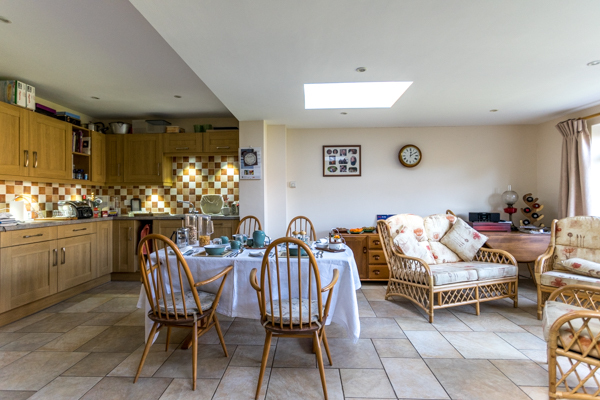 Where possible locally sourced ingredients are used and homemade bread, marmalade and conserves are supplied. Double glazed doors lead to the garden. On fine days breakfast can be served on the patio. To check availability of either of our rooms, please contact us by email or telephone. Please note, we have a minimum stay policy of 4 nights as of April 2019.